BMC Family Medicine Center (Boston) - Book Appointment Online! 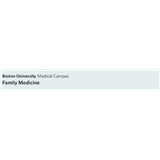 The Family Medicine Center at Boston Medical Center provides comprehensive, high quality care for the entire family. We can meet all of your health care needs under one roof, and have same day and same week appointments available. Our services include full spectrum primary care for adults, pregnant women, children, and seniors. We also have behavioral health services right in our office. RN Dana was very friendly and understanding of my daughter and her concerns. Very nice lady. Seemed very knowledgeable. She is awesome very good bedside manner, pleasant and took time to listen to any concerns I had.